Free web hosting, that’s newbies want. 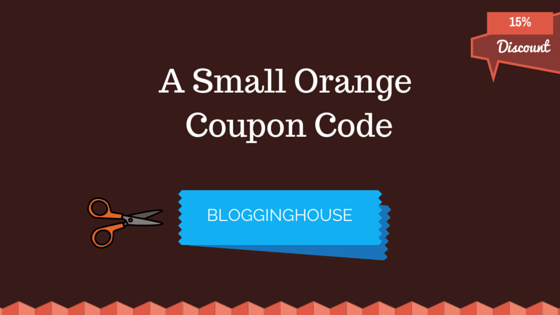 For our readers, A Small Orange is offering 1-year free web hosting. This is the first giveaway of Blogging House. 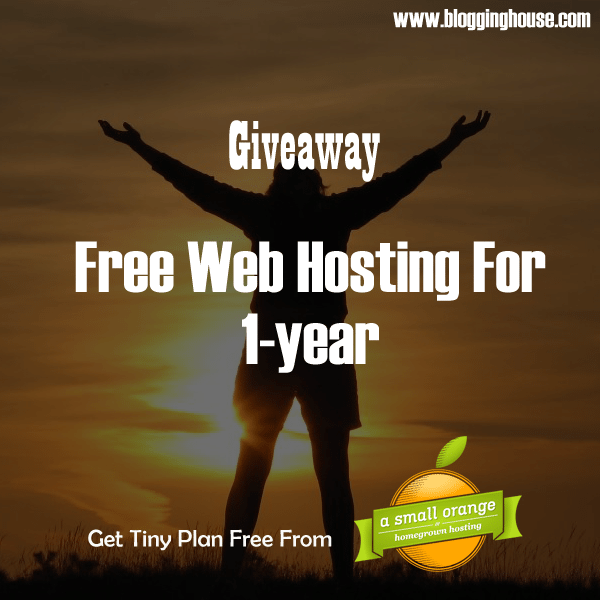 One winner of this giveaway will get the Tiny Plan (worth $35) of A Small Orange FREE for 1-year. This package is really great if anyone want to learn to start a website, non-profit or anything else. A Small Orange is well known for providing web hosting as affordable prices. They are one of the old and trusted web hosting providers. A Small Orange is offering different web hosting plan including Shared, Business, Reseller, Dedicated and VPS hosting. Their support team is really great. Thanks to A Small Orange for giving 1-year free hosting to the winner of this Giveaway. I think this is a perfect plan for newbies if you want to just start. For a high traffic website, this plan is not recommending but if you are just starting then go for it. The amazing is that winner is getting this for free. Winner will get Tiny Plan (price $35 per year). Free hosting is only for 1-year, plan renews at normal price ($35/year). Free domain is not included in the tiny plan. We will choose the winner on the base of entries. So, try to increase entries as much as you can. Fake entries etc, will not acceptable. First of all, log in with any of your social network or your email. Then collect entries (points) by doing the tasks. Some task can be done daily which means you can get entries daily. At the end of the giveaway, the person with highest entries will be chosen as the winner. Tips: Some of these entries are daily based. So, visit this page and collect your 15 entries daily. Inviting friends will also give you a lot of entries. Congratulations Supreeth Bharadwaj, you are selected as the winner of this giveaway. Please contact us ASAP. So, we can give you free web hosting. Now, please subscribe to us, if you want to receive more giveaway offers. Have Questions? Then feel free to ask in comments. Be connected to us and collect your entries to win this giveaway.